Sire's Paul VI is beautifully written but he's no authority. Don Luigi Villa is and his book Paul VI Blessed? is online. 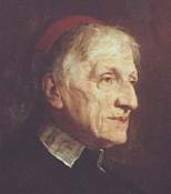 Anyone who reads Roberto de Mattei's Second Vatican Council will not be surprised by the character of Giovanni Montini. The translators of de Mattei are Ignatius Press authors. I think Ignatius sponsored the translation and then sent it to a schismatic press (Loreto) to insure that it would be buried forever. Two reviews have appeared. One by Howard Kainz (The Catholic Thing) and one by Michael Miller (Catholic World Report). Neither tell you what's in the book. Only [the blog, Unam Sanctam Catholicam] gives it a worthy review. Few Catholics who read English know the importance of Jean Madiran Robert de Mattei wrote the best tribute, Hommage to Jean Madiran. From 1958 Madiran ran the best Catholic journal in the world, Itineraires. His chief theologian was Fr. Roger Thomas Calmel [pictured right], who happened to be a saint. No book tells the story of the Left's takeover of the Church than the biography of Fr.Calmel. He fought the modernists in his own order. The biography sings from. the personal letters, articles and preaching of this very humble and brilliant theologian. Msgr. Lefebvre called him his spiritual father though he was the younger man. While Msgr. Lefebvre was in Africa in the critical years for the Church in France, Fr. Calmel was on the front lines in the struggle for the faith. He was the first to declare his refusal of the new mass. No one knows the story of the condemnation of Action Francaise and its consequences. The right was defeated and no conservative priest could become a bishop in France. Achille Lienart was the new model of a bishop and he would lead the revolt at Vatican II. Few Catholics know the important details about L'Action Francaise and its condemnation, consequential not just for France but every Catholic. Gregoire Celier does a superb job of sorting out the issues on his two articles on Charles Maurras (online). Paul the VI was certainly an interesting character in the Chinese sense. It took me a while to recognize it (with great help from traditionalist writers), but even his "crowning" achievement of Humanae Vitae let in a small, but nonetheless perilous crack. By equating the procreative and unitive aspect of the marital act, a seemingly small and hardly objectionable thing in light of what progressive theologians of the day wanted, all manner of mischief has been unleashed. IF all of the claims made about Liberius made by those succoring Lefebvre were tue, then why does Denzinger (see entry twixt 57 and 58 which reads call him a Saint?